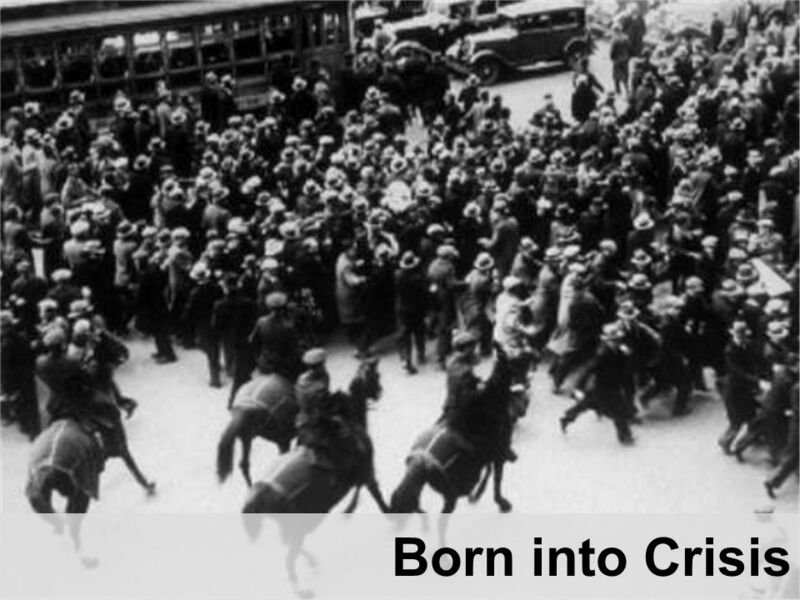 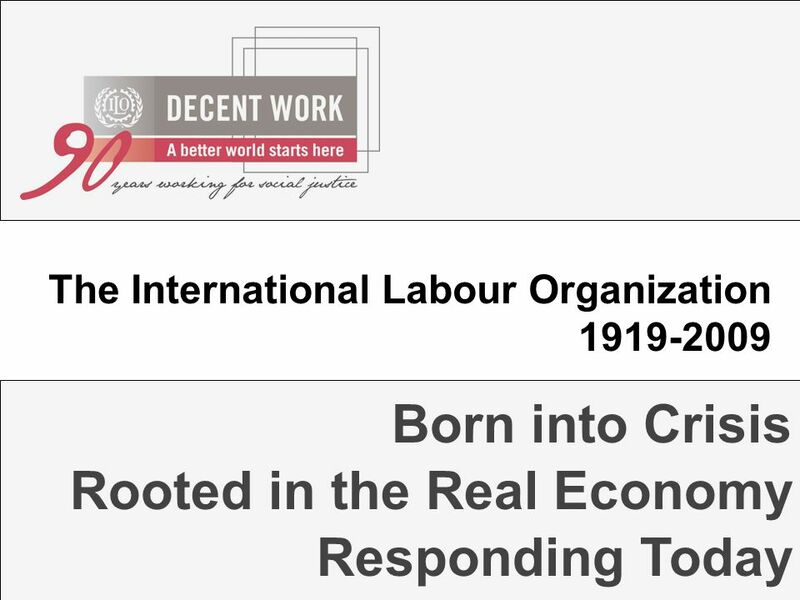 Born into Crisis Rooted in the Real Economy Responding Today. 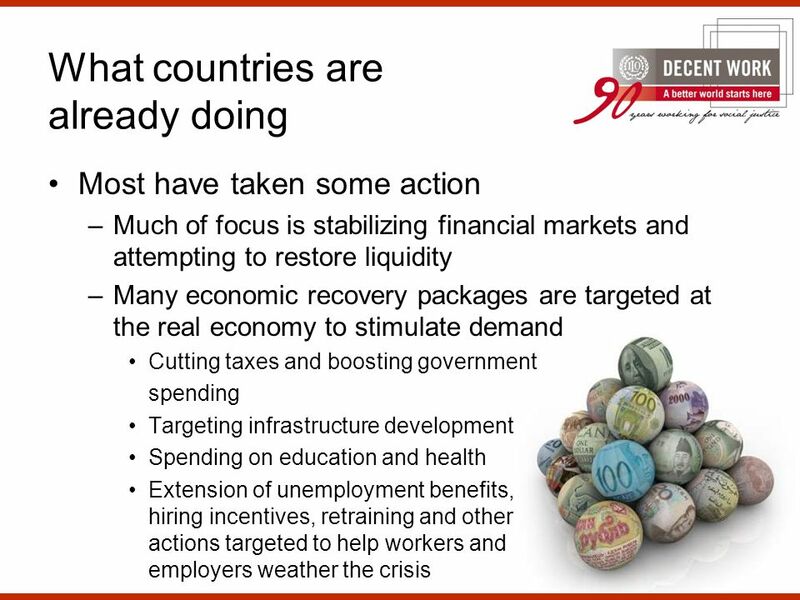 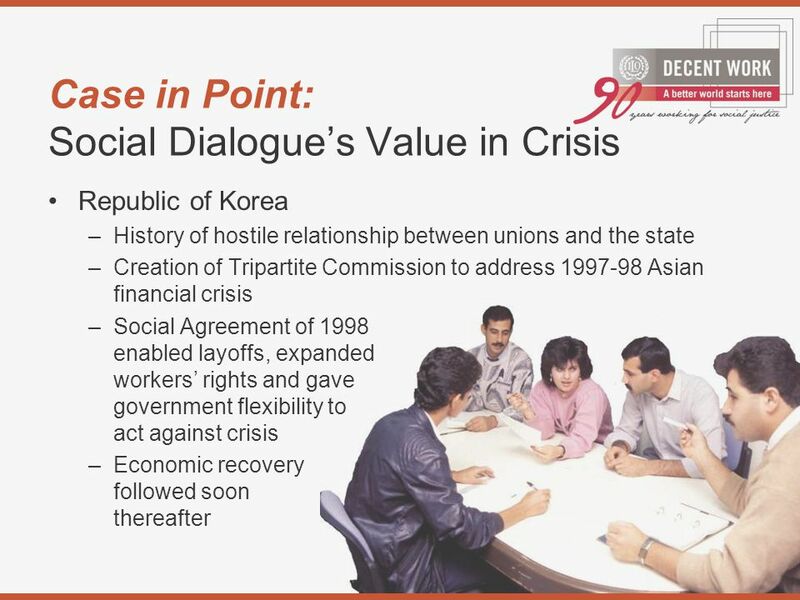 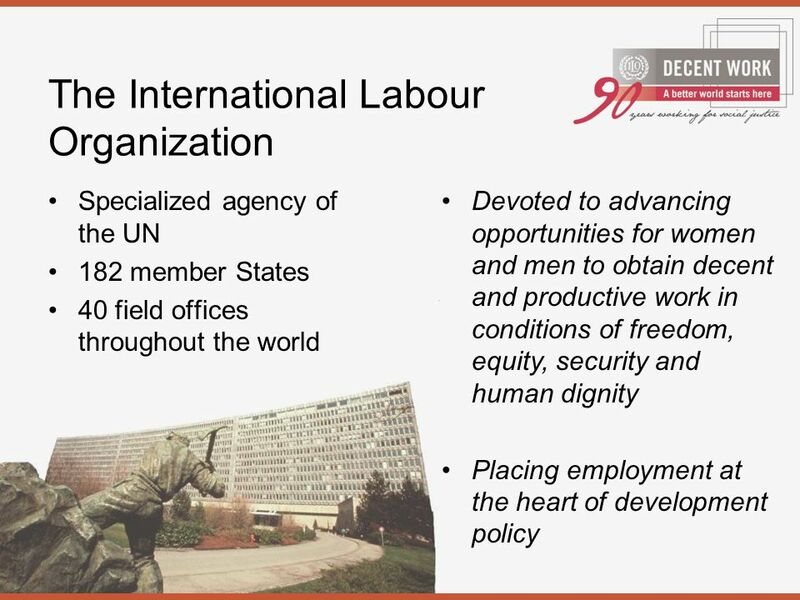 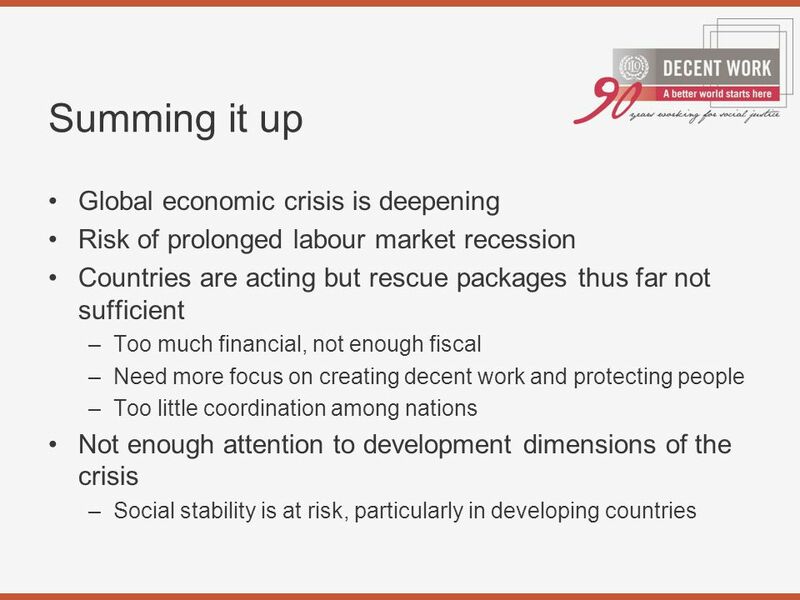 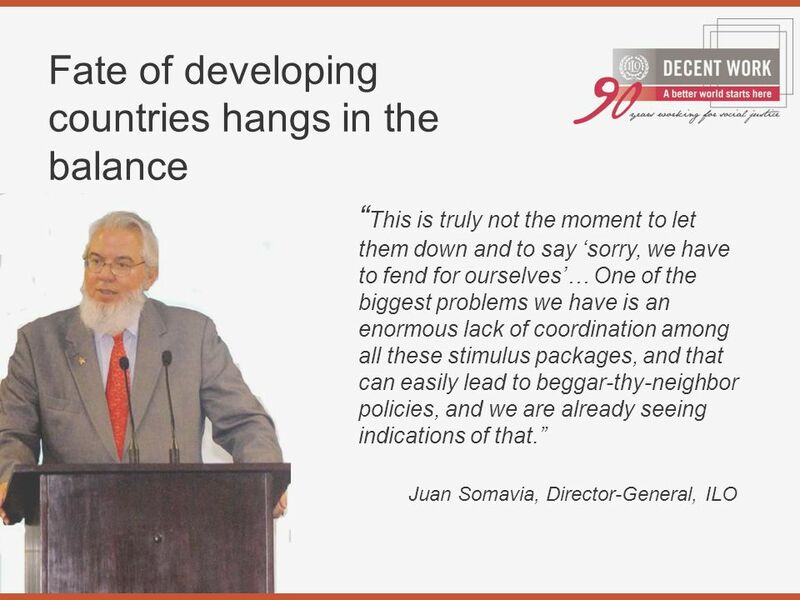 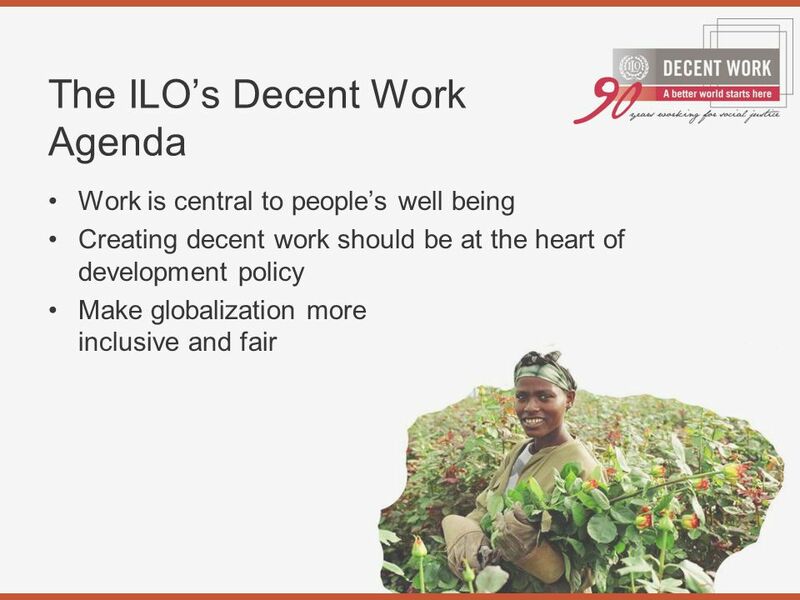 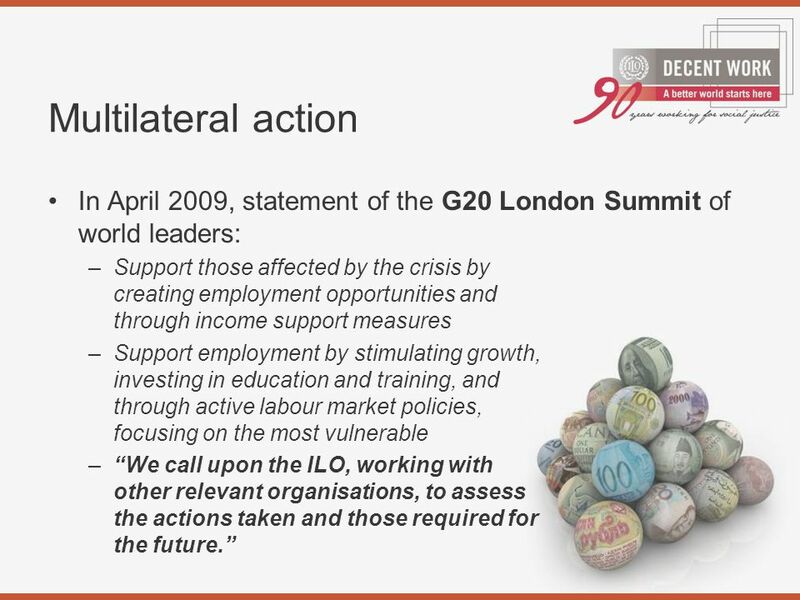 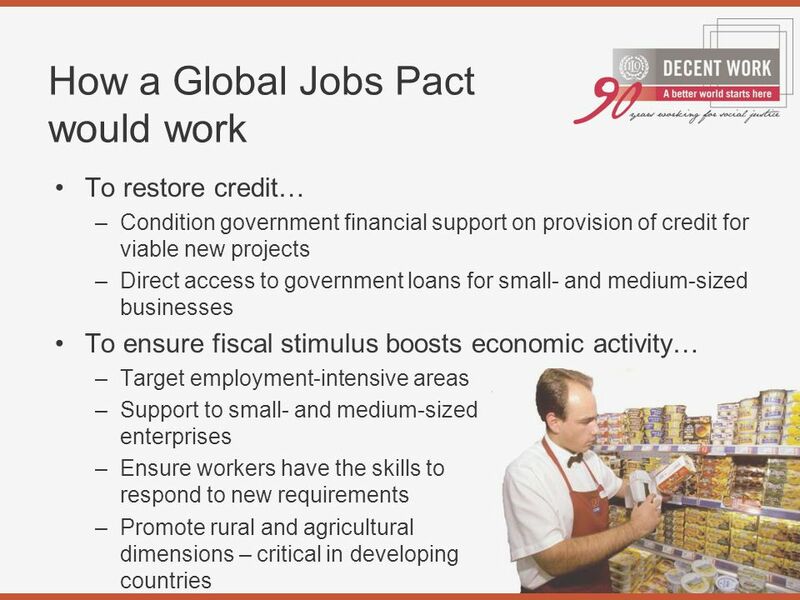 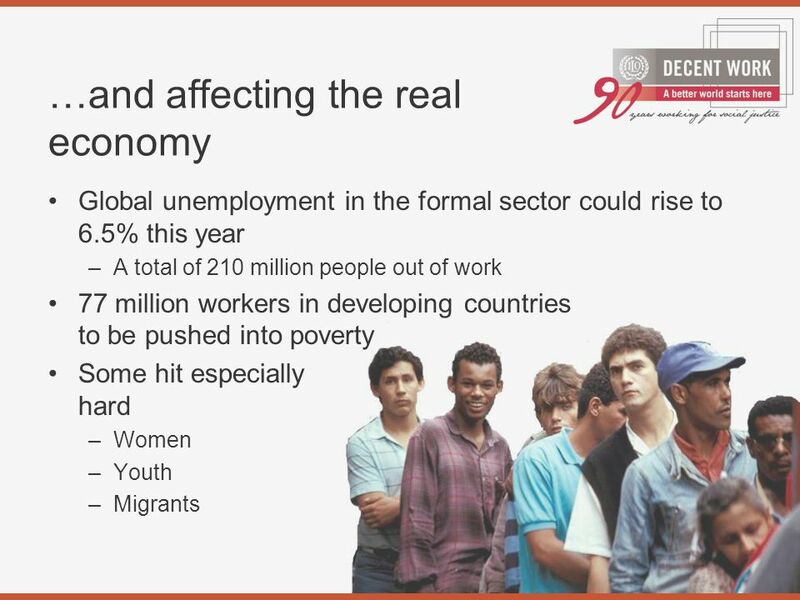 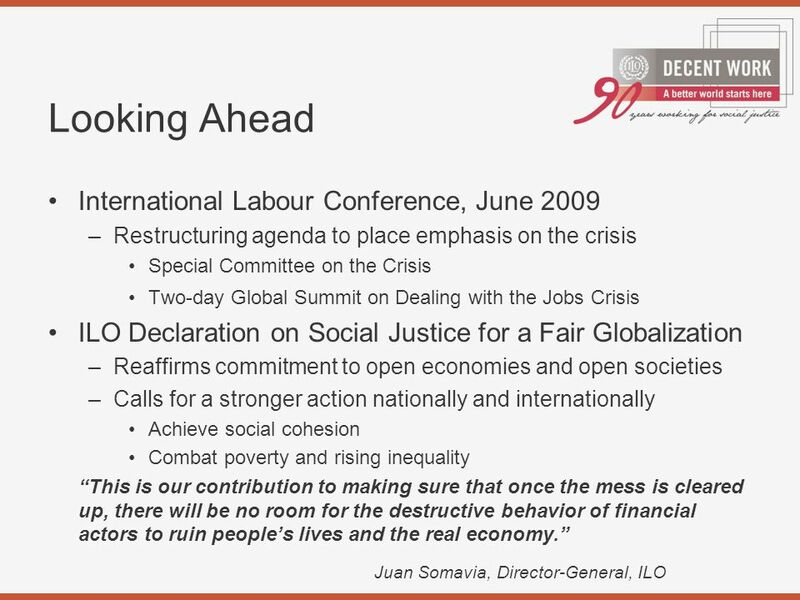 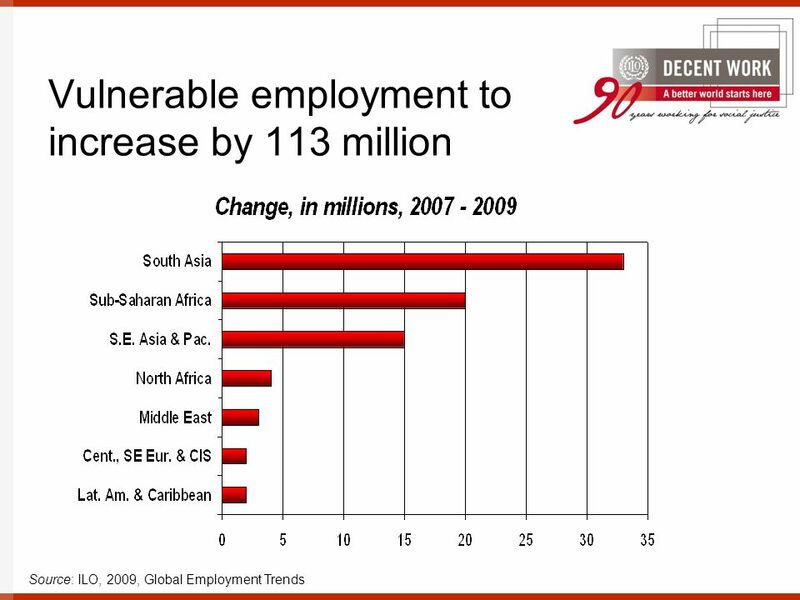 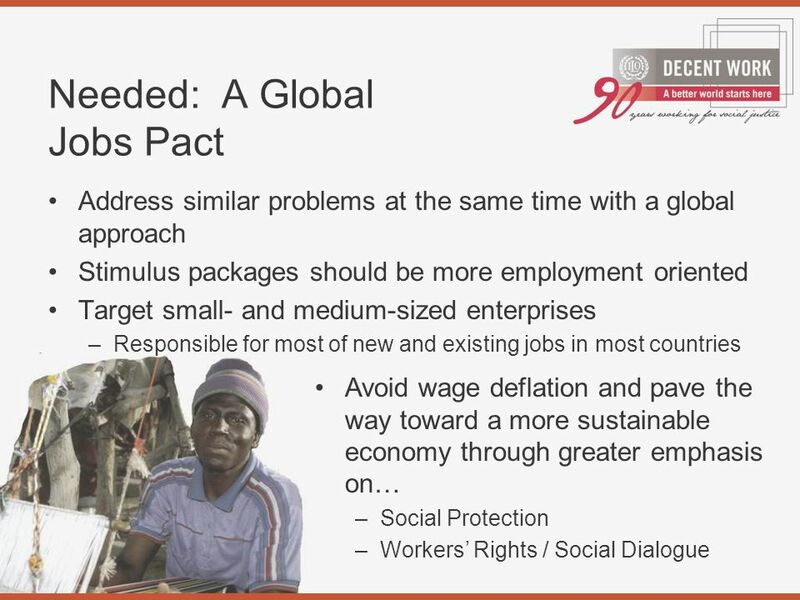 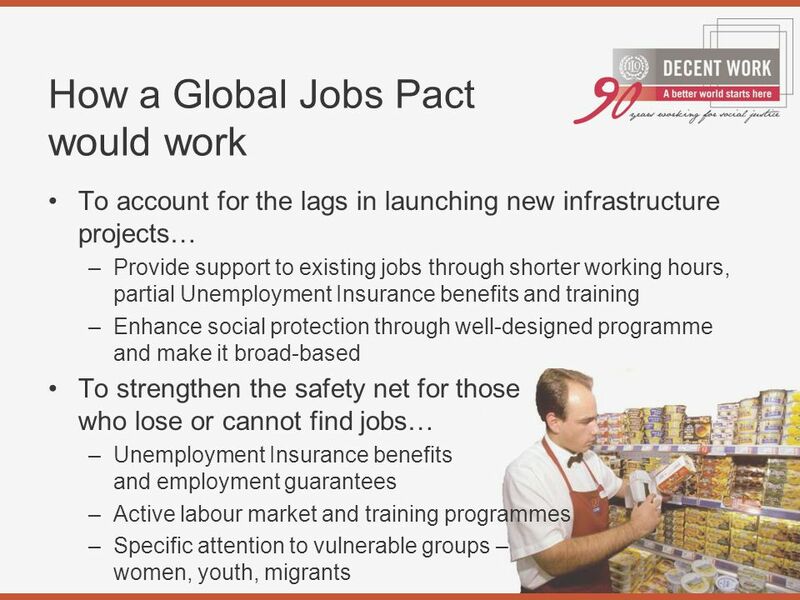 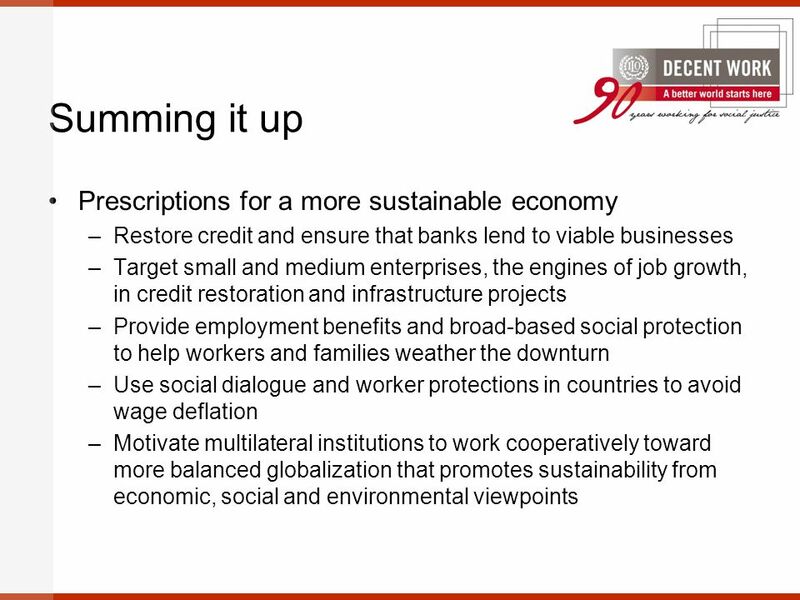 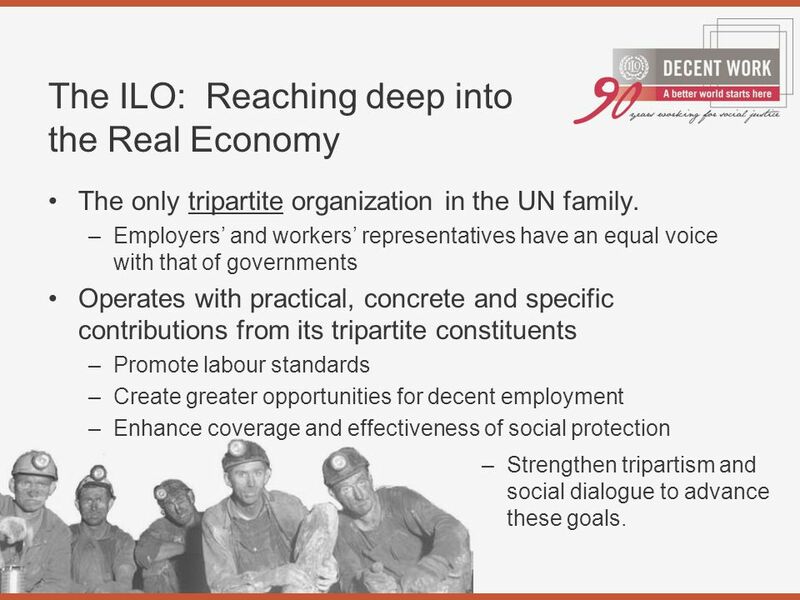 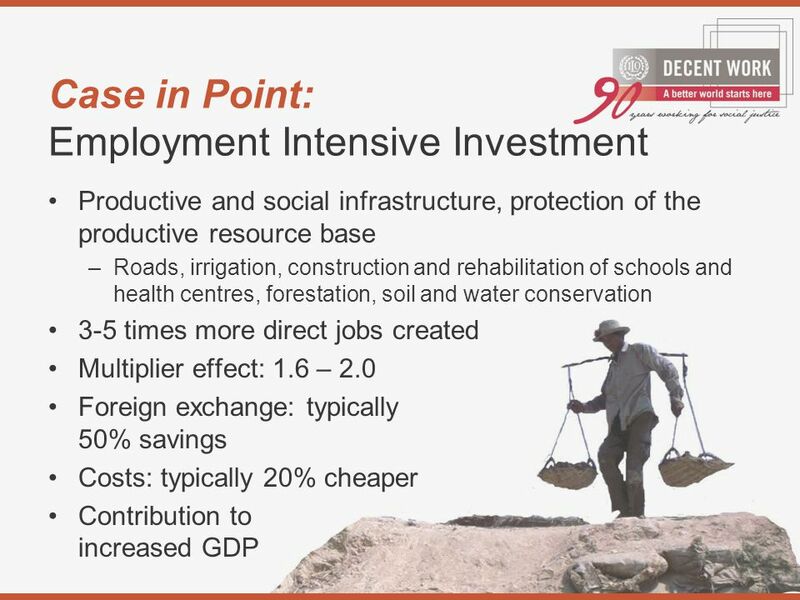 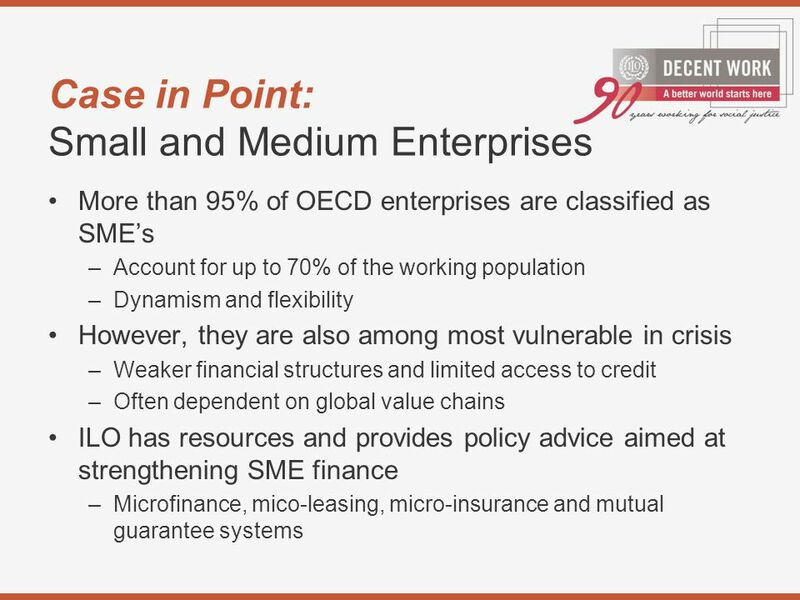 8 The ILO: Reaching deep into the Real Economy The only tripartite organization in the UN family. 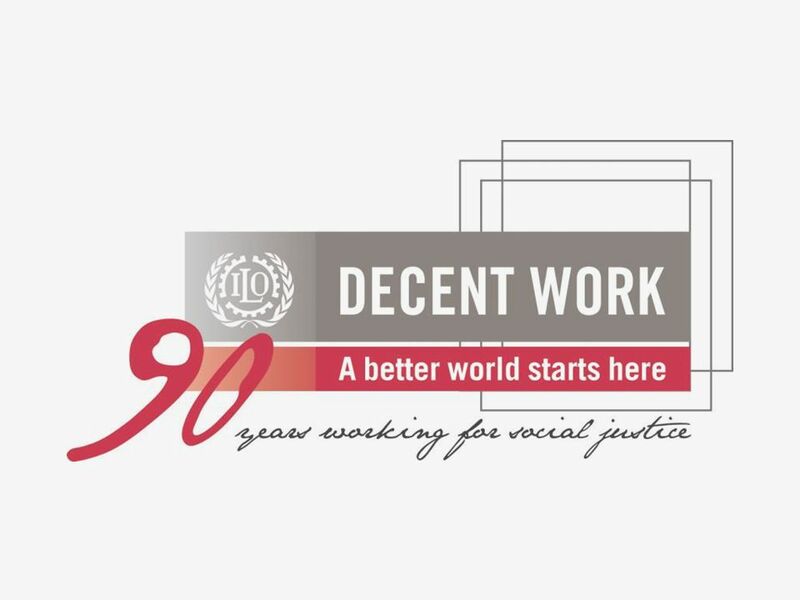 –Employers’ and workers’ representatives have an equal voice with that of governments Operates with practical, concrete and specific contributions from its tripartite constituents –Promote labour standards –Create greater opportunities for decent employment –Enhance coverage and effectiveness of social protection –Strengthen tripartism and social dialogue to advance these goals. 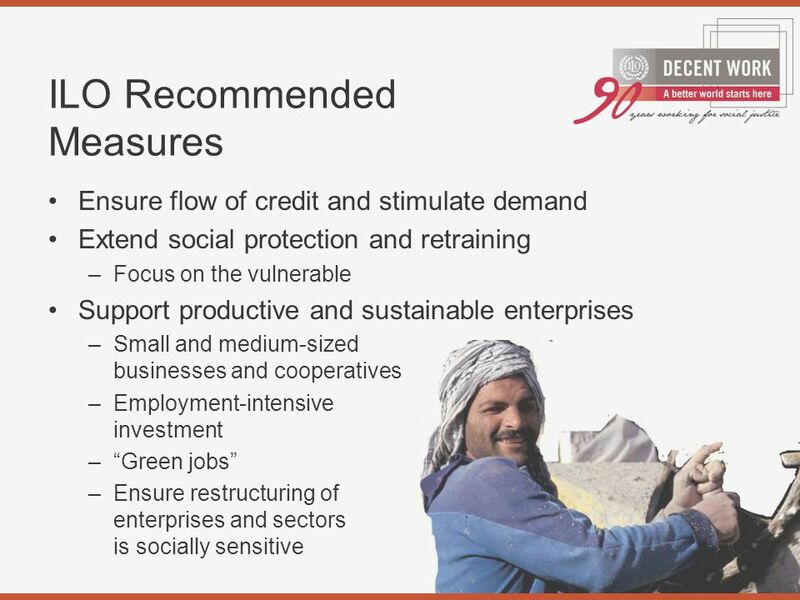 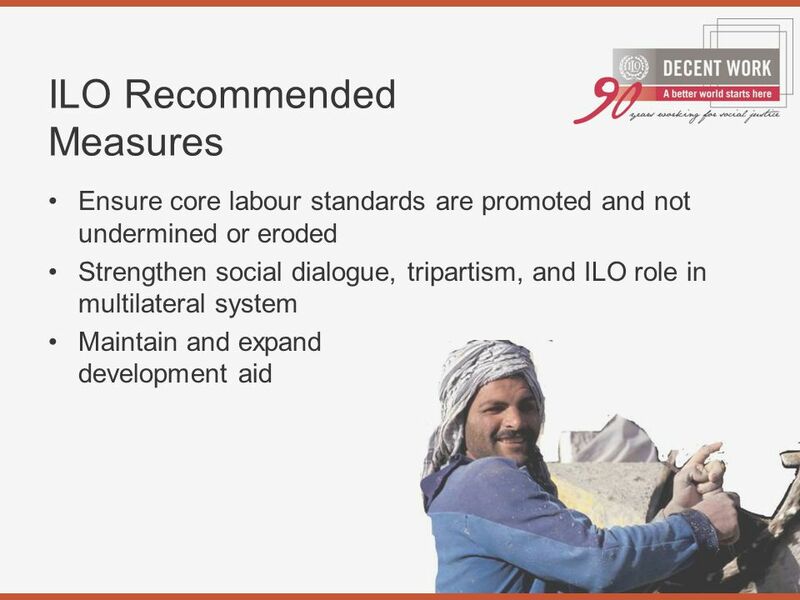 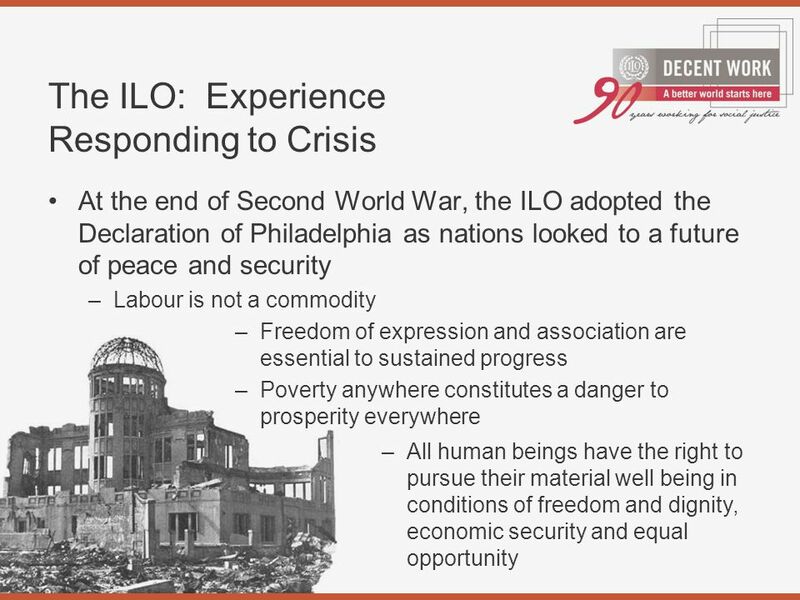 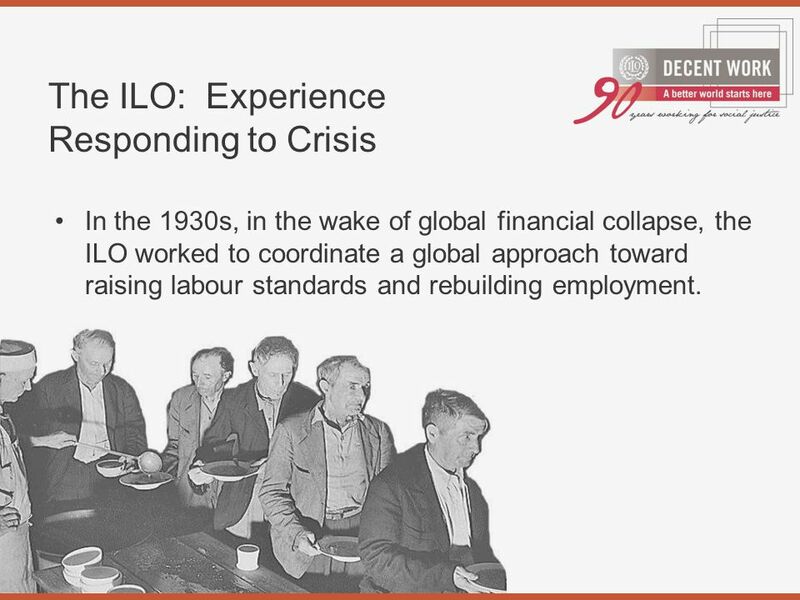 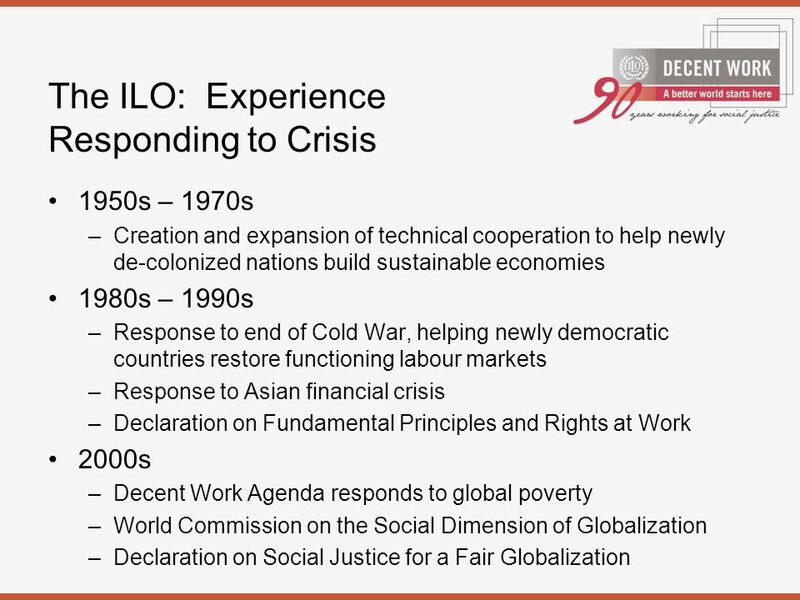 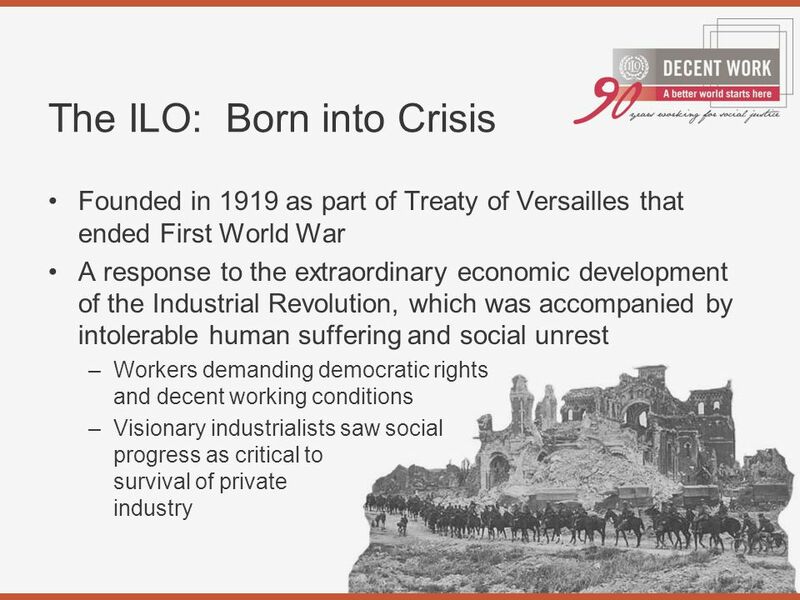 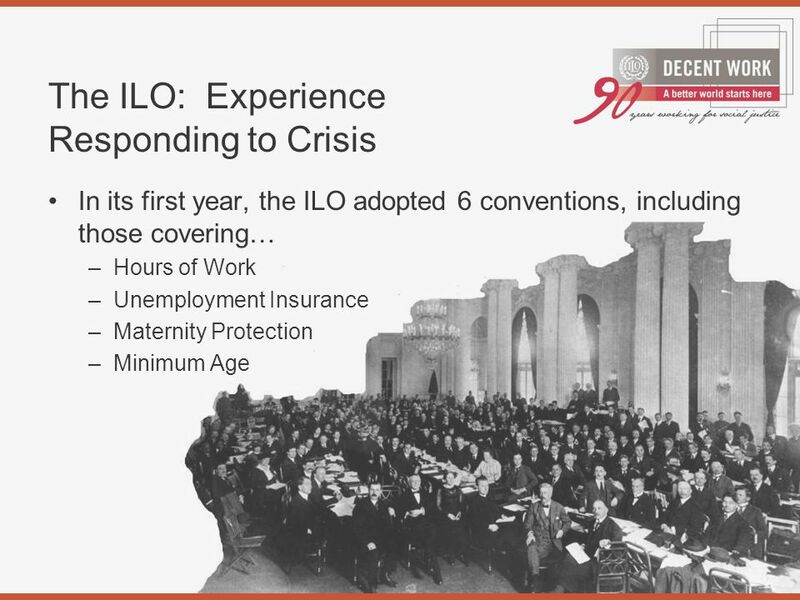 10 The ILO: Experience Responding to Crisis In the 1930s, in the wake of global financial collapse, the ILO worked to coordinate a global approach toward raising labour standards and rebuilding employment. 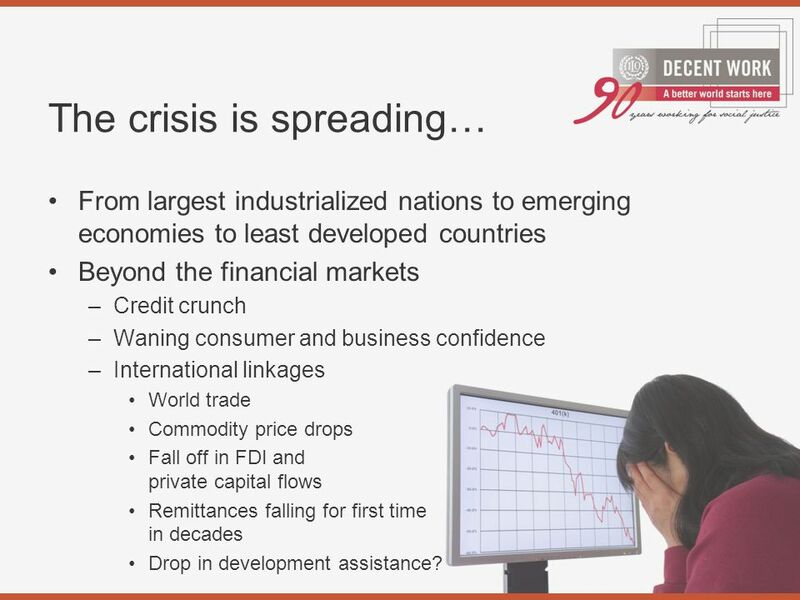 17 The crisis is spreading… From largest industrialized nations to emerging economies to least developed countries Beyond the financial markets –Credit crunch –Waning consumer and business confidence –International linkages World trade Commodity price drops Fall off in FDI and private capital flows Remittances falling for first time in decades Drop in development assistance? 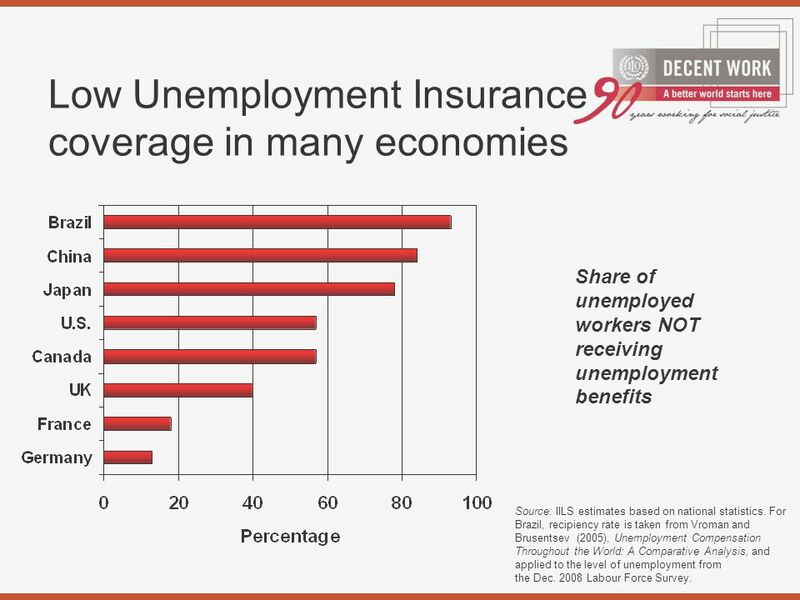 23 Low Unemployment Insurance coverage in many economies Share of unemployed workers NOT receiving unemployment benefits Source: IILS estimates based on national statistics. 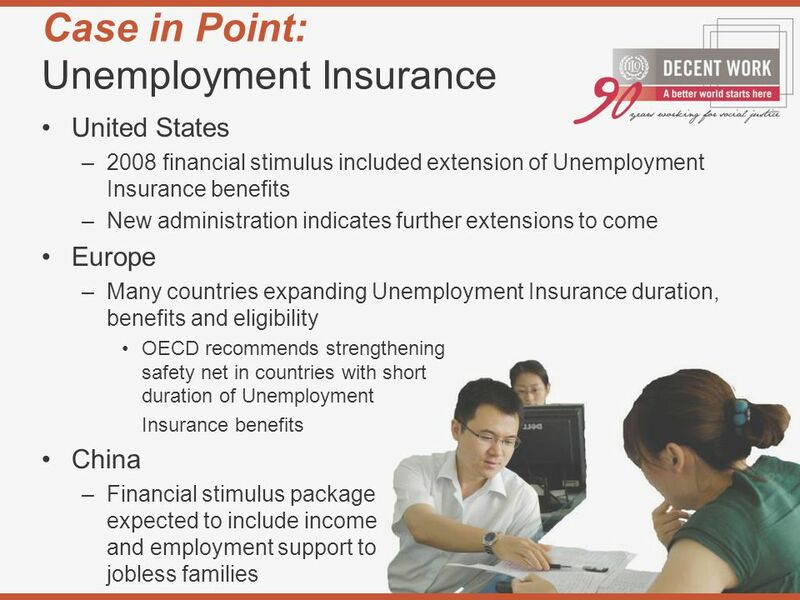 For Brazil, recipiency rate is taken from Vroman and Brusentsev (2005), Unemployment Compensation Throughout the World: A Comparative Analysis, and applied to the level of unemployment from the Dec. 2008 Labour Force Survey. 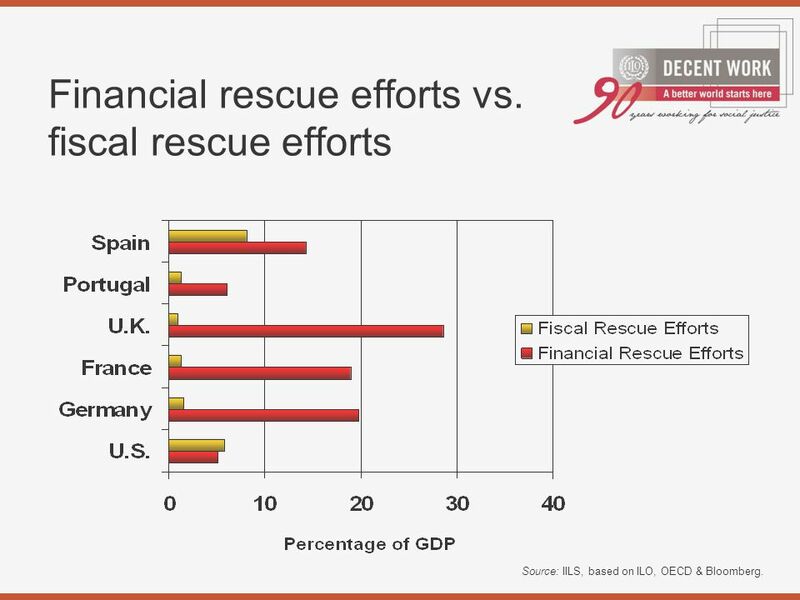 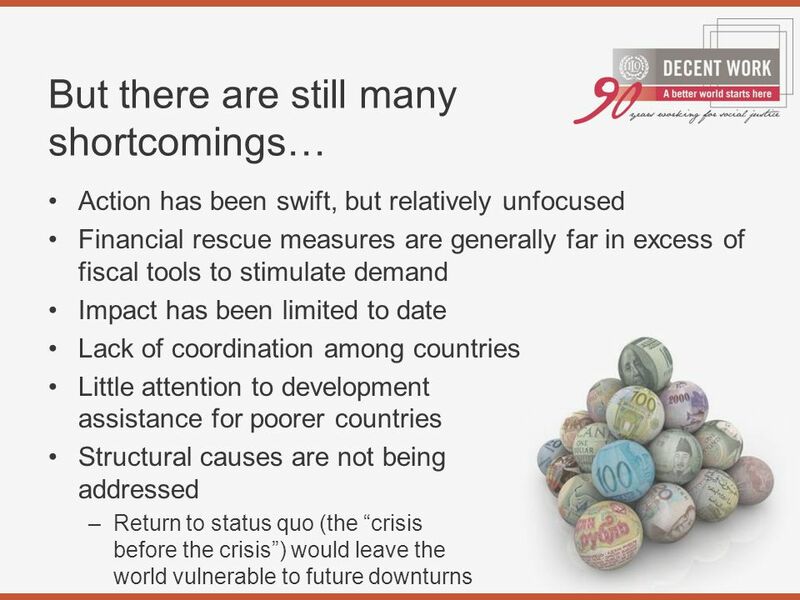 28 Financial rescue efforts vs. fiscal rescue efforts Source: IILS, based on ILO, OECD & Bloomberg. 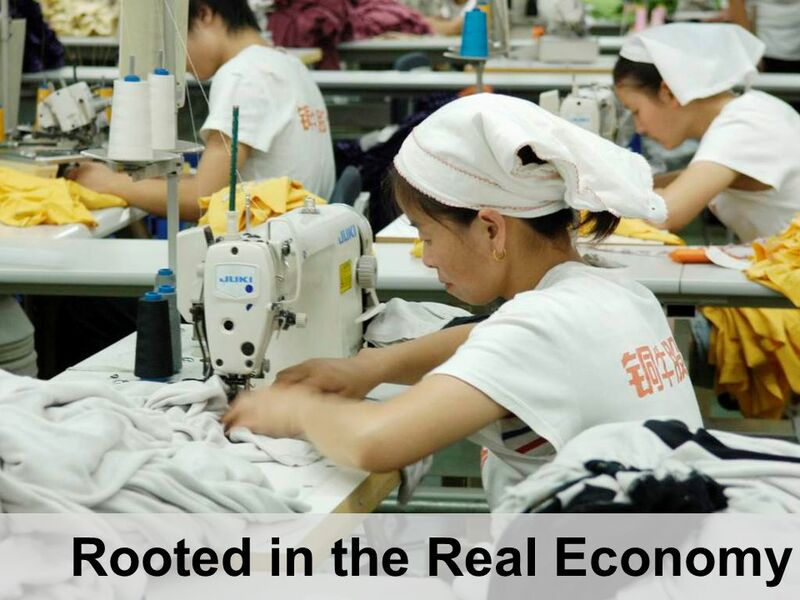 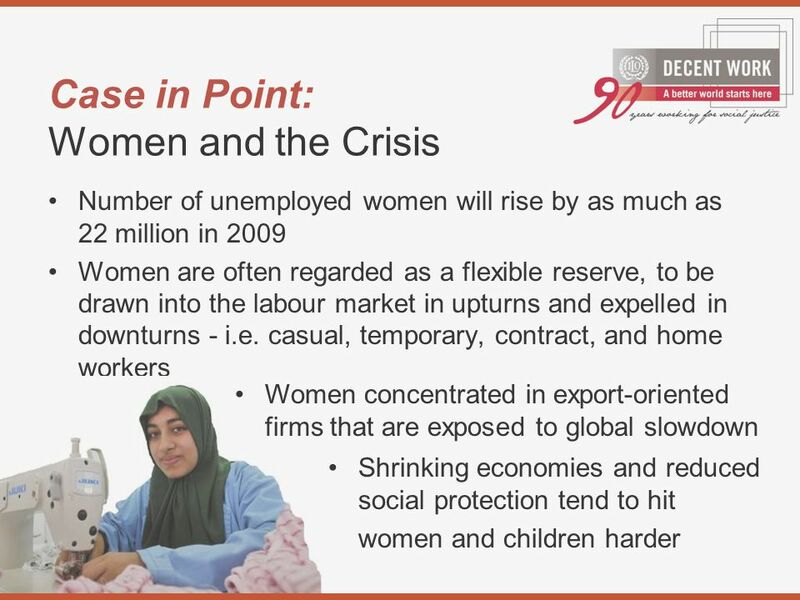 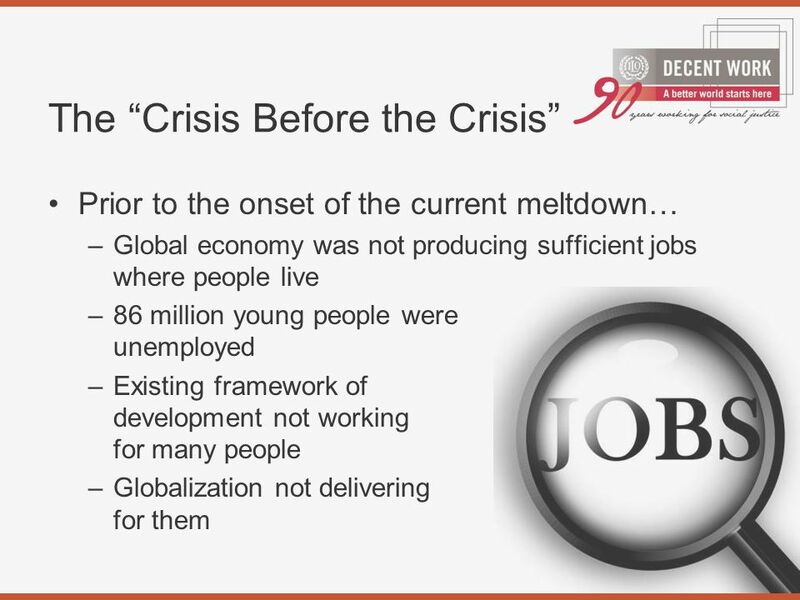 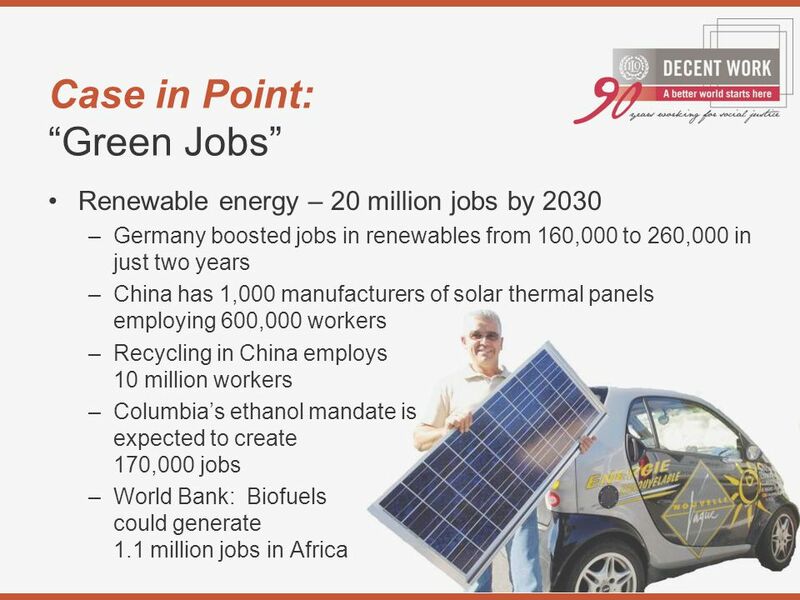 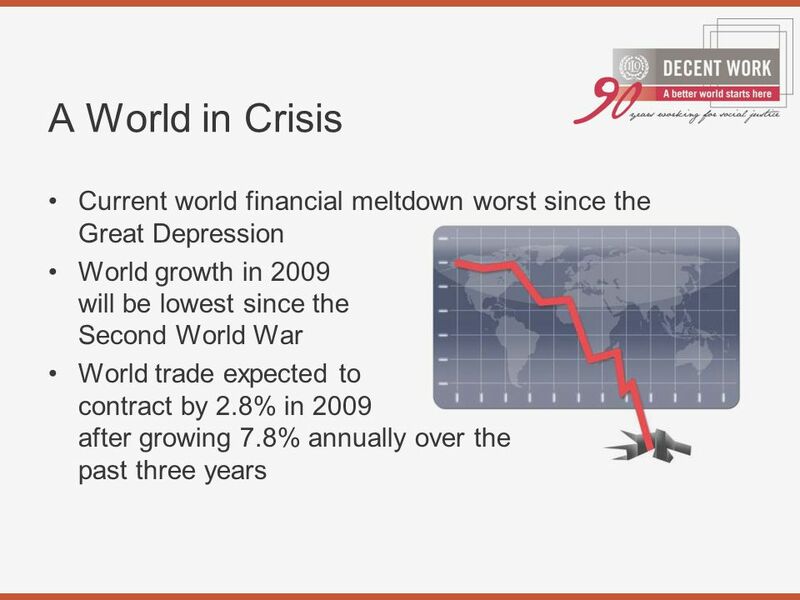 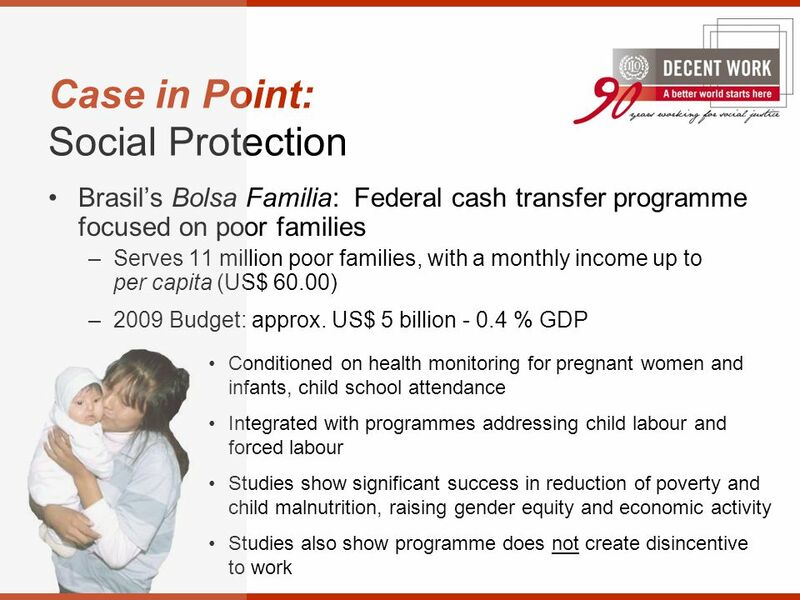 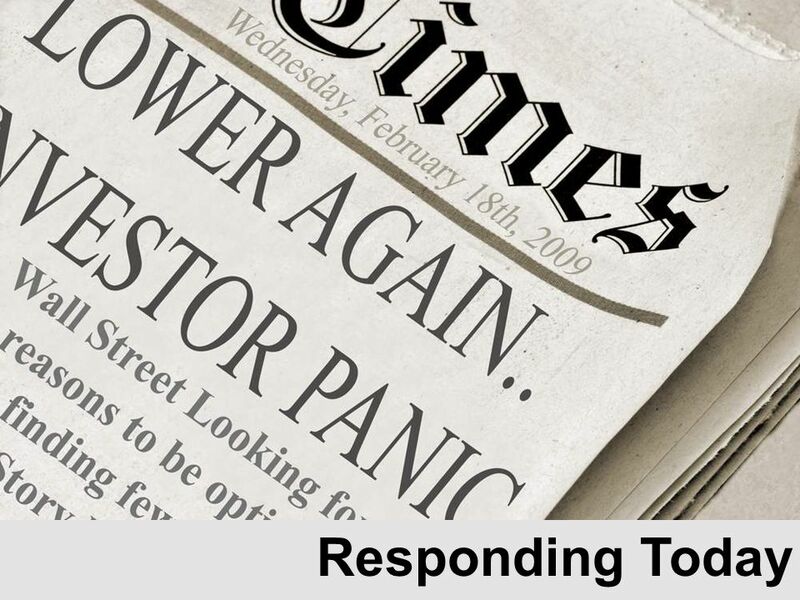 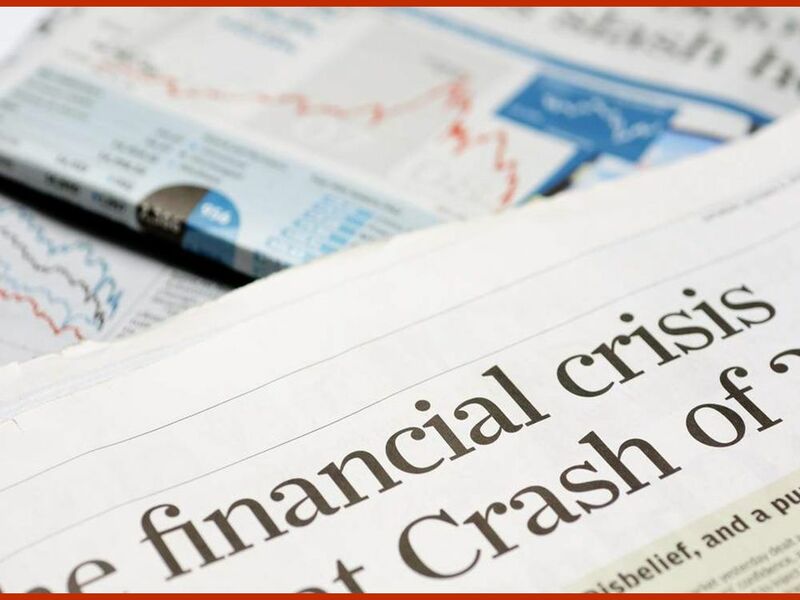 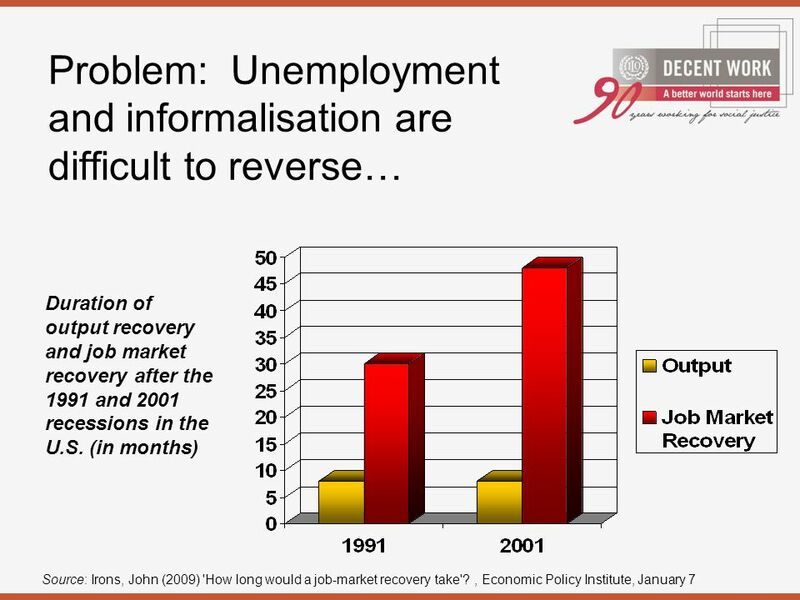 Download ppt "Born into Crisis Rooted in the Real Economy Responding Today." 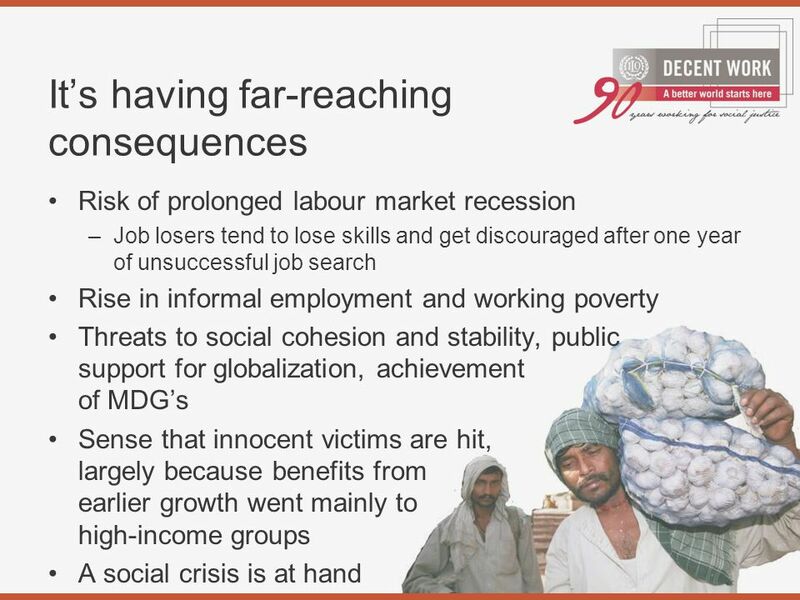 Addressing the Employment Aftermath: an ILO approach Stephen Pursey Director, Policy Integration and Statistics Department, ILO. 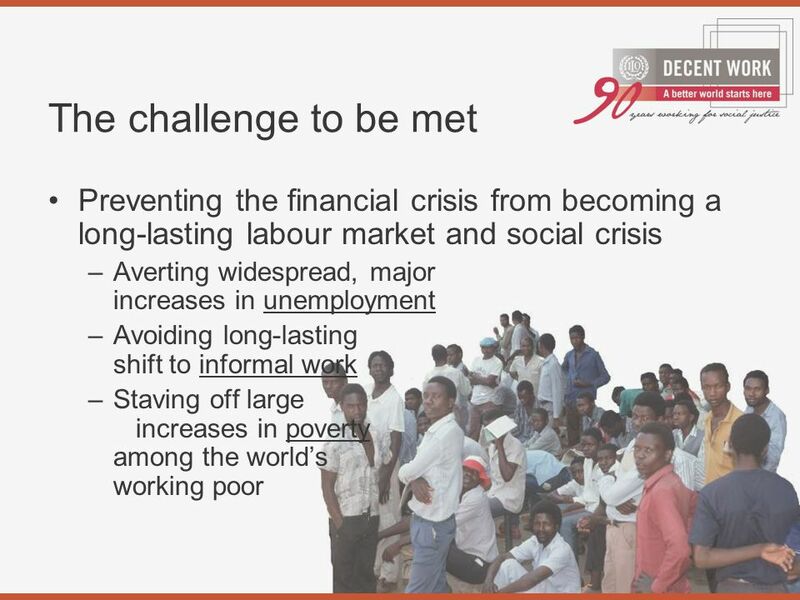 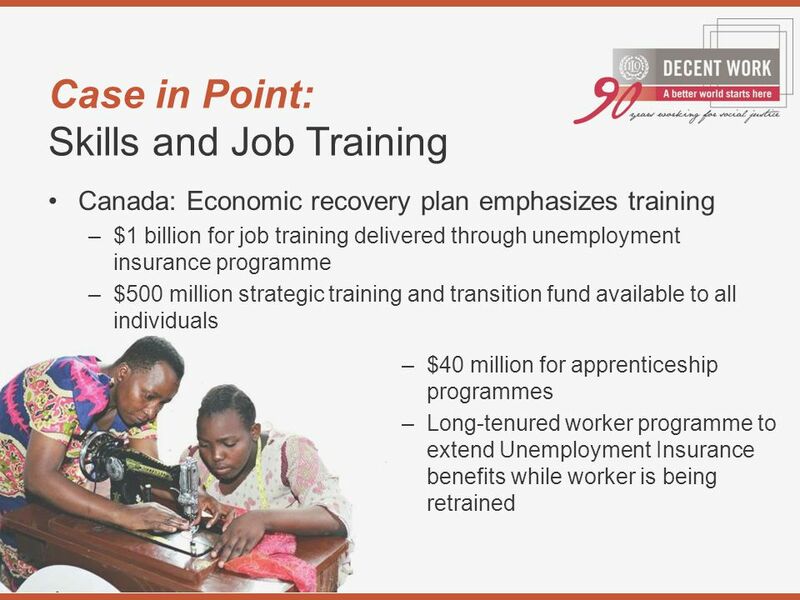 Tanzania’s Employment Challenge A Presentation to the Development Partners’ Group 8 January 2007. 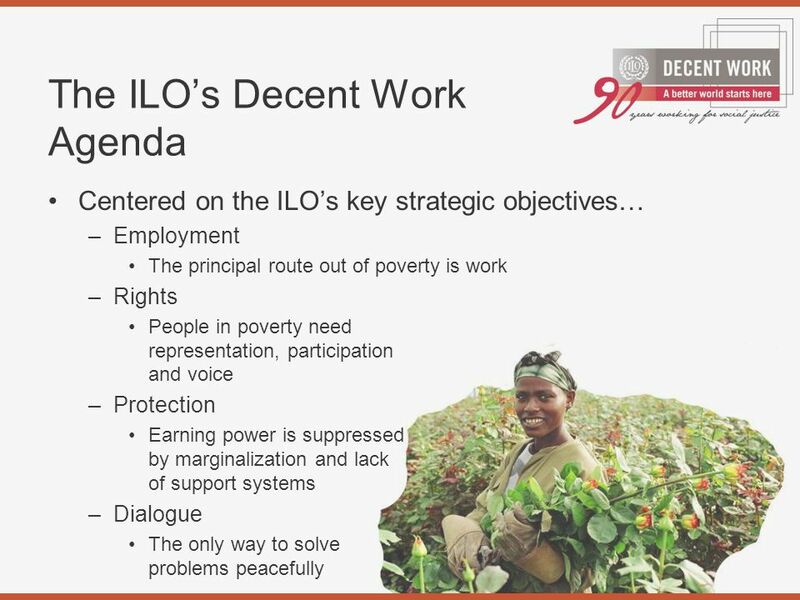 ITCILO/ACTRAV COURSE A1-56354 Capacity Building for Members of Youth Committees on the Youth Employment Crisis in Africa 26 to 30 August 2013 ILO Instruments.